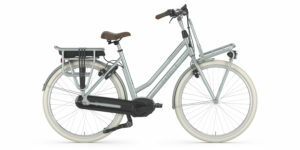 Currie Comfort, 26" x 2.00"
Please note, this review is for the older 2013 version of the IZIP E3 Metro that had a downtube mounted battery pack. 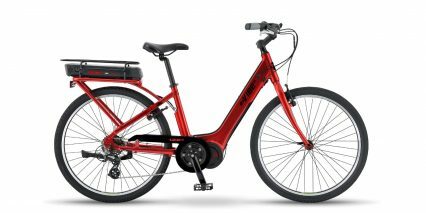 The newest version of this bike has a removable battery pack that is located just behind the seat post tube. 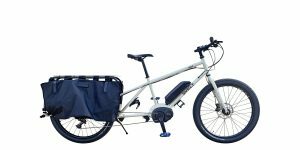 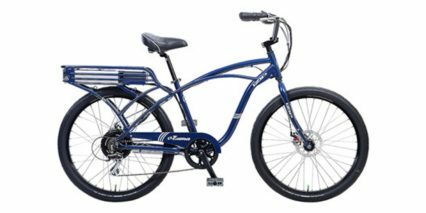 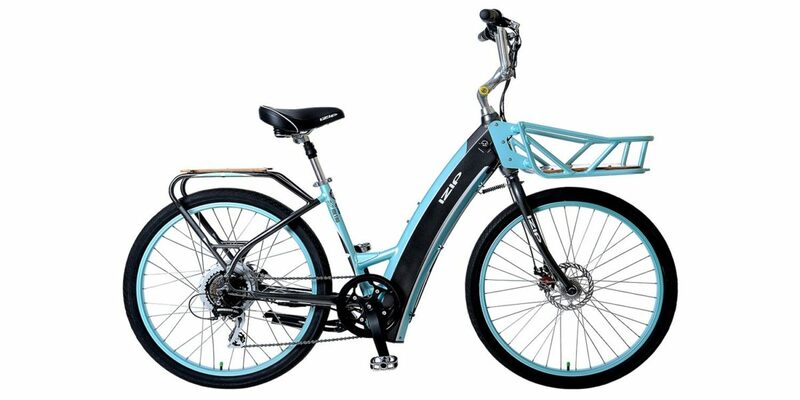 This is still a wonderful ebike and you may have the opportunity to buy it at a garage sale or at a discount at your local shop. 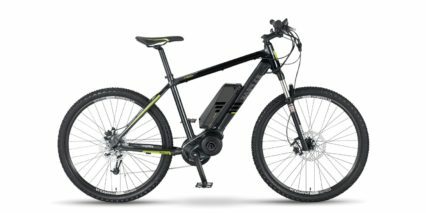 Be sure to offer less than the suggested price listed in the spec above and consider that the battery pack may be harder to replace or already somewhat degraded if it is used. 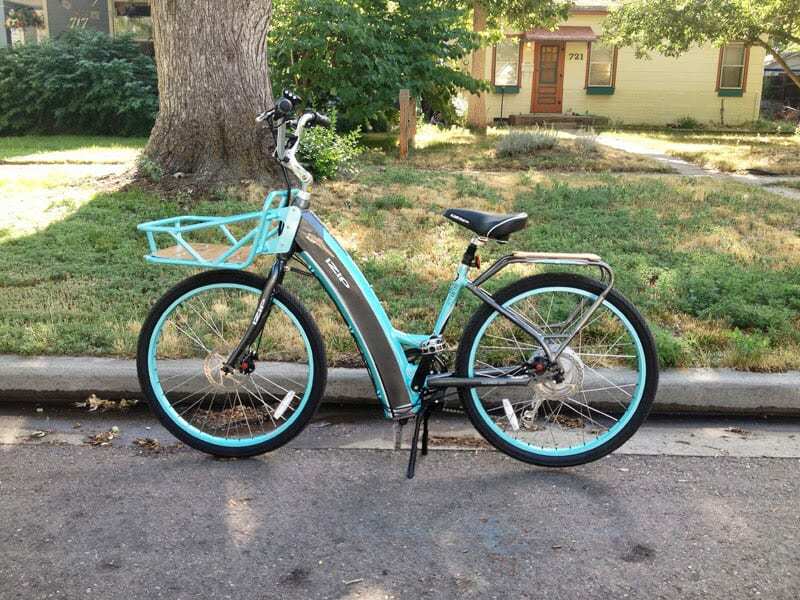 This can be an expensive upgrade at $500+ so build that into your offer. 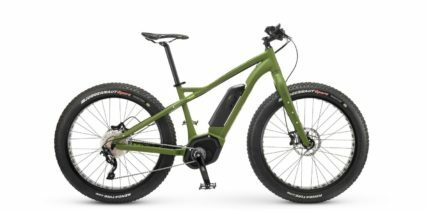 Okay, on with the review! 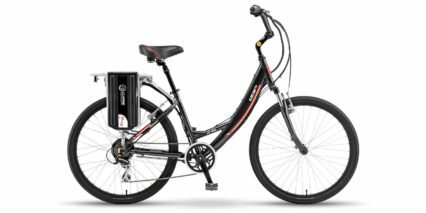 The IZIP E3 Metro combines a powerful 500 watt motor with mid sized 36 volt Lithium battery pack to help you carry groceries or other goods with ease. 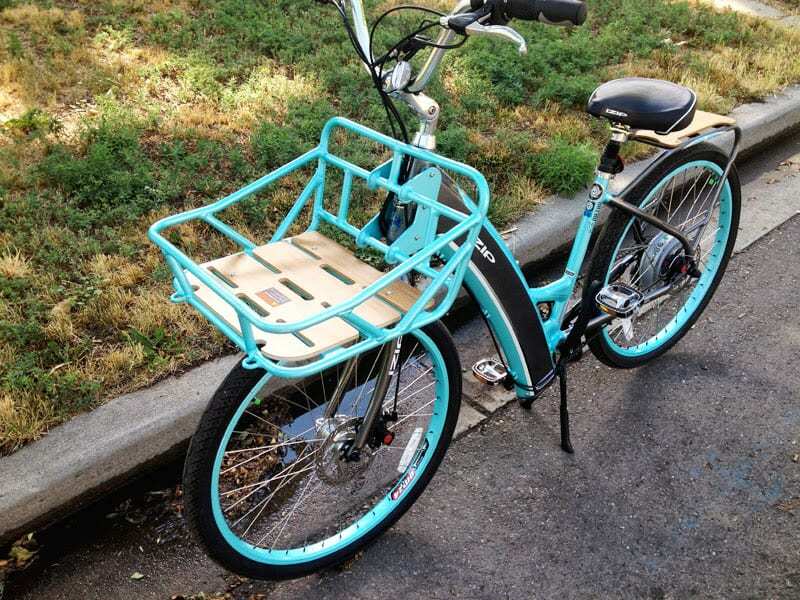 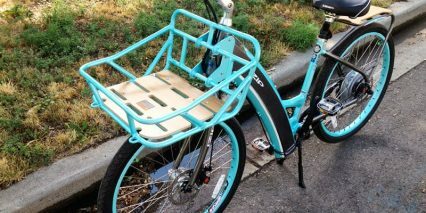 The primary feature of this bike is its sturdy front basket with matching rear rack. 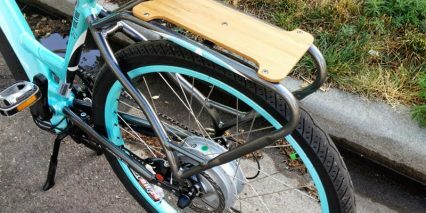 A “deflopilator” spring is even built in to help with steering and parking under load. 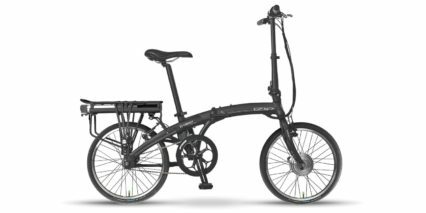 The bike itself weighs in at 55lbs and is built sturdy with thick metal tubing. 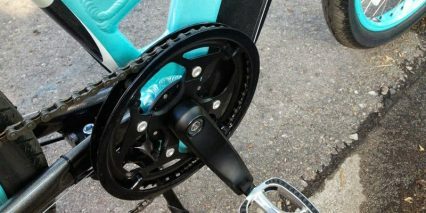 And it offers oversized Avid BB disc brakes on the front and rear to make sure stopping won’t be a problem. 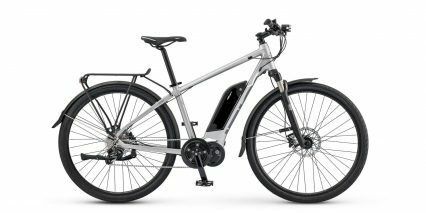 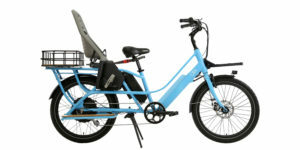 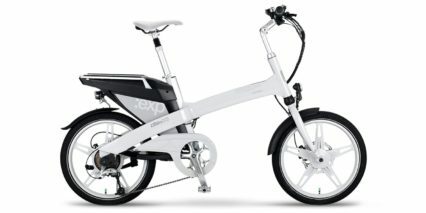 The E3 Metro stands apart from other IZIP electric bikes in two big ways. 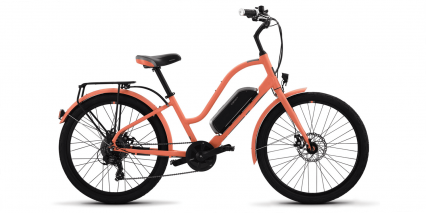 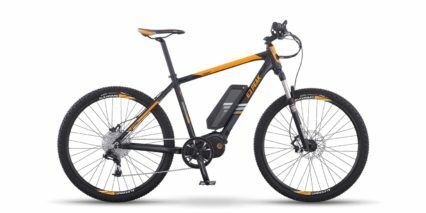 First, it offers a 500 watt geared hub motor. 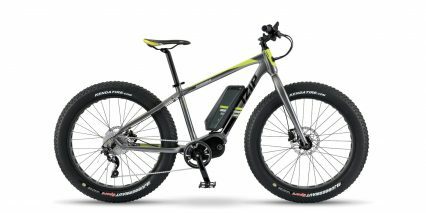 That’s a big step up from the 250 and 350 watt motors most of their bikes use. 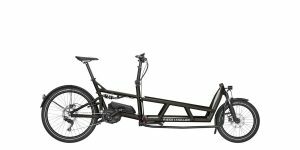 If you’re a heavier rider, or someone looking to pull a trailer or actually use the front and rear rack you’ll need that power. 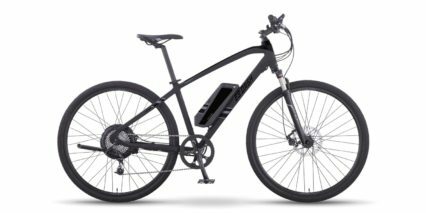 If you care about power but don’t need the rack, check out the IZIP Zuma which is a little cheaper. 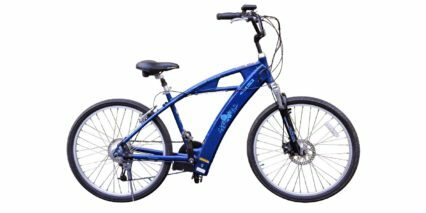 The second differentiating feature of this bike is the solid tubing and low mounted battery. 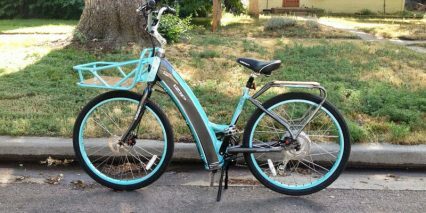 Some of the lower end IZIP bikes use bolt on racks and actually mount their batteries up high in the rear. 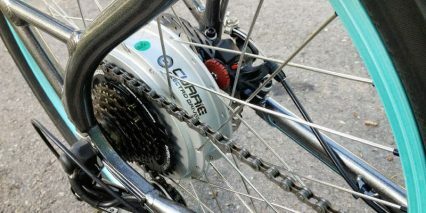 This creates imbalance and will rattle over time. 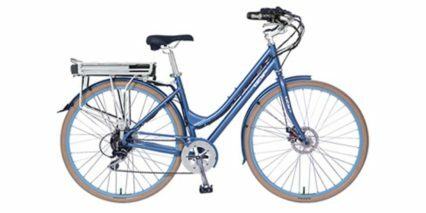 The E3 Metro by contrast, keeps the weight low to the ground and all of the racks are super thick with the rear rack being welded right onto the frame! 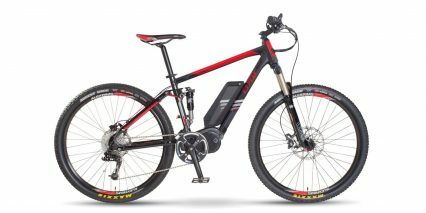 The battery pack on this bike offers 36 volts of power and 10 amp hours for range. 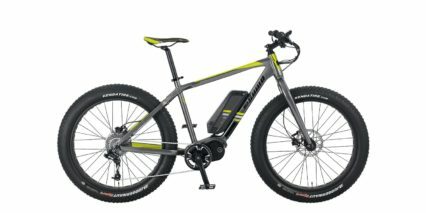 That’s about average in terms of power and range but what really stands out is the year warranty! 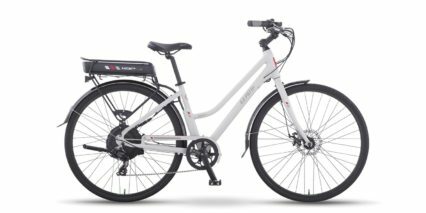 All IZIP bikes offer this benefit and it’s worth considering here because the battery is enclosed in the downtube and less easy to remove. 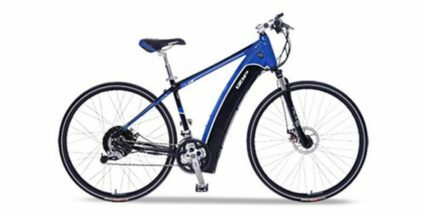 That means it may be exposed to more environmental and temperature related hazards. I’m not actually a huge fan of this design but given the benefits of low center of gravity, I’d say it’s better than a rear mounted cell. 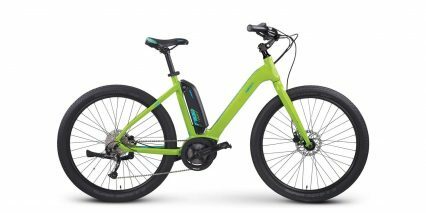 So, you can’t upgrade the battery, replacing it may be tricky and require a shops help but overall it works well and would be harder to steal. 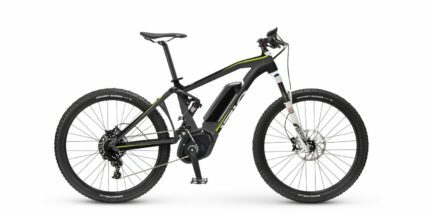 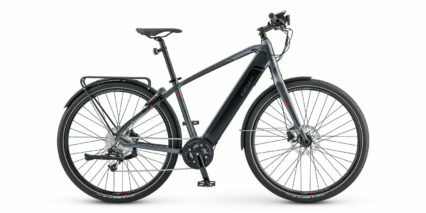 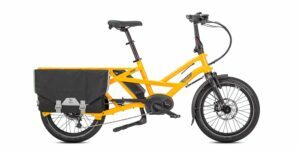 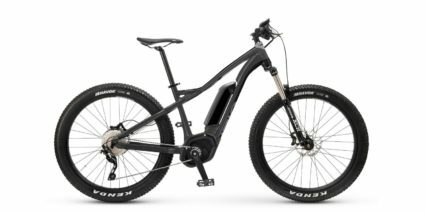 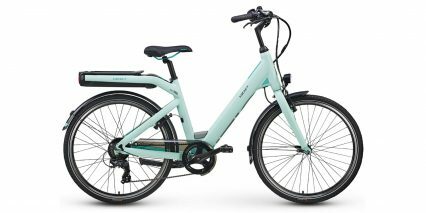 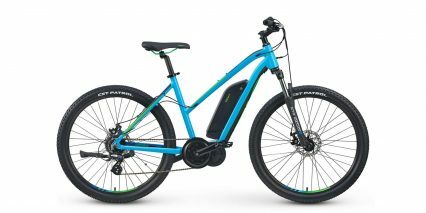 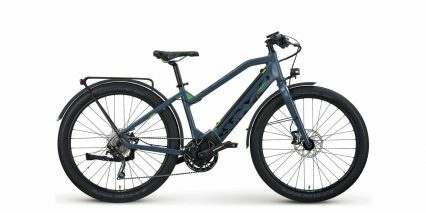 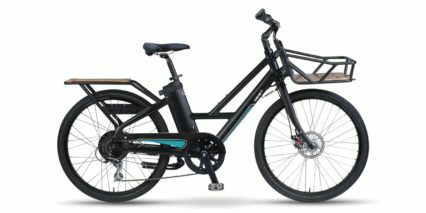 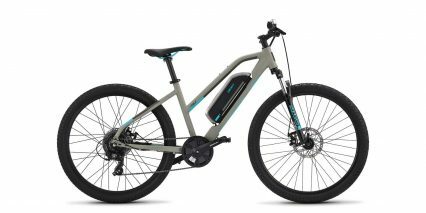 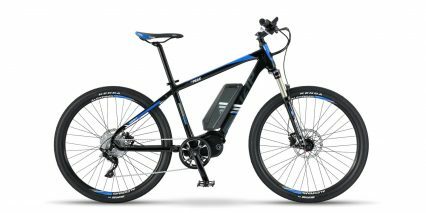 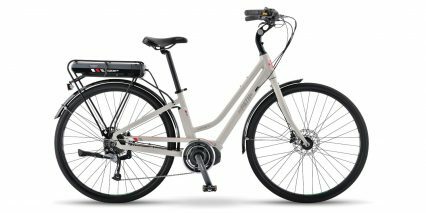 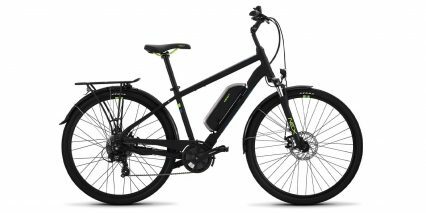 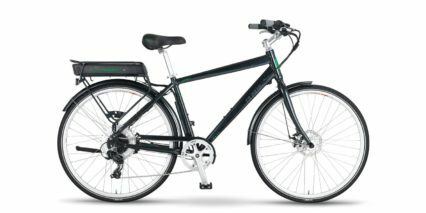 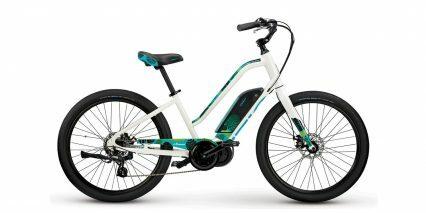 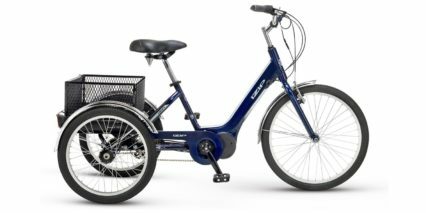 Whether you want an electric bike that performs more like a scooter (where you twist the throttle to go) or want something to boost your own pedal power (pedal assist) this bike will perform very well. 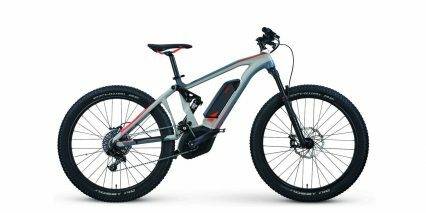 The controller system works with a fancy LCD computer that mounts right to the handlebars and tells you things like speed, range and time. 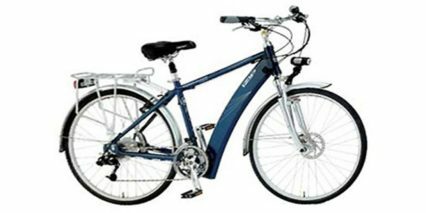 It’s a neat system and since you can easily take it off, it offers another hedge against vandalism or theft of the bike. 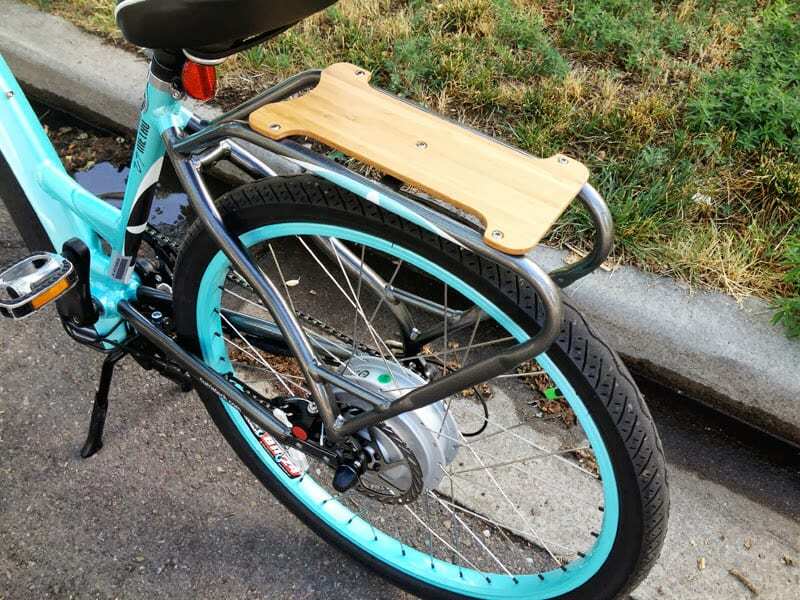 One thing I would have liked to see here however are some integrated lights since “metropolitan” areas usually involve cars and some street riding situations where lights are required. 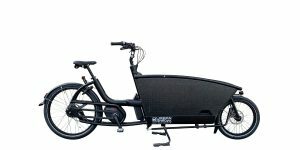 It’s easy enough to use aftermarket lights but then they have to be charged separately and removed when the bike is parked. 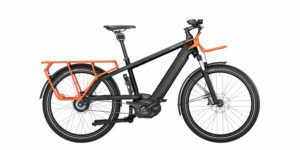 Ride quality on the E3 Metro is decent and the adjustable upright style handlebars and seat post shock really help to relax the back and neck when riding. 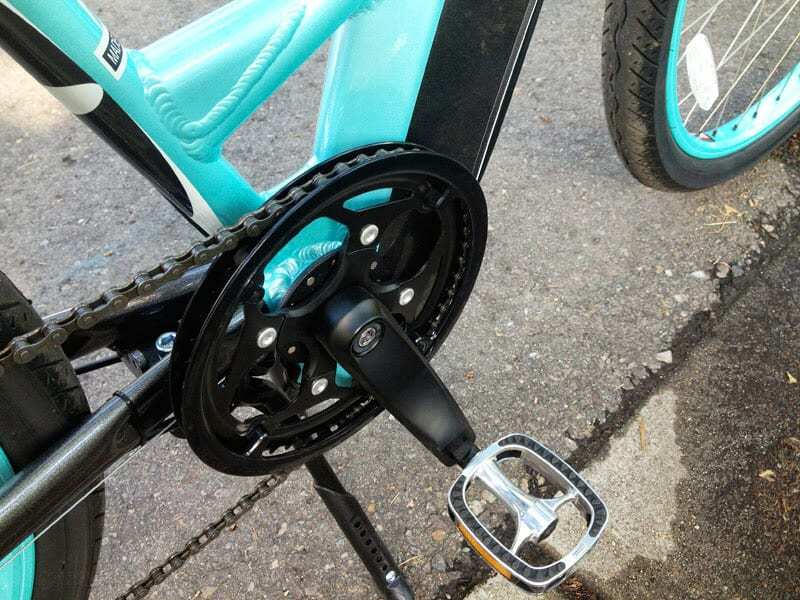 There’s no front shock here but that helps to keep the bike lightweight and less expensive. 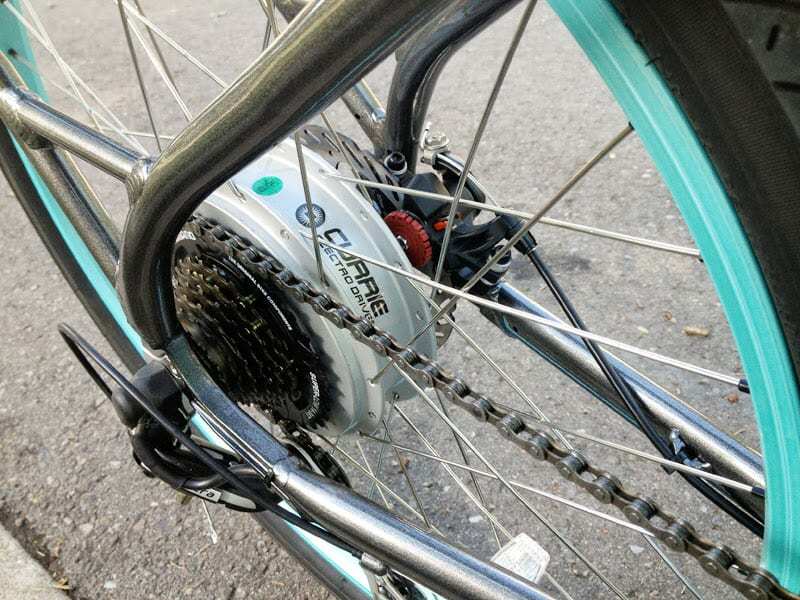 The bike also includes heavy duty flat-resistant tires that come pre-Slimed and the front chain ring has a built in plastic guide to keep the chain from falling off. 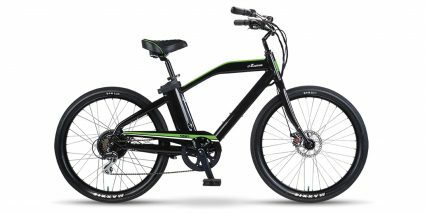 All in all, this bike offers good ride quality with decent features but misses on lights, fenders and removable battery pack. 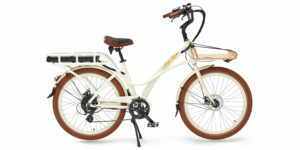 Still, it’s one of the only ebikes with a front basket built in and the wood trim looks very nice. 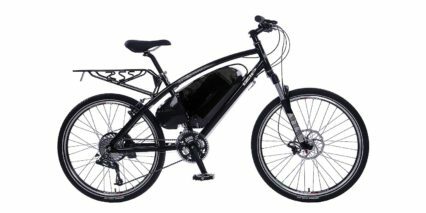 It’s available in low step and high step as well so you can fit your riding style.